Lively and elegant, Pearl offers inventive yet accessible food with a southeast Asian flair. Our menu changes seasonally and is built around our commitment to creating dishes that accentuate the flavors of fresh, locally-produced meats, seafood, fruits and vegetables. With an inviting dining room, inspired menu and friendly staff, Pearl promises a memorable dining experience each time you visit. 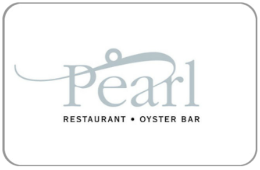 For balance inquiries call the phone number to a Pearl Restaurant & Oyster Bar's location below.